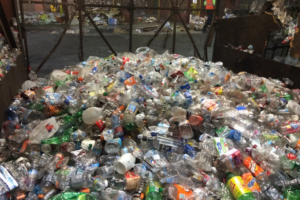 Join Willow Bend on a walk through of the Materials Recovery Facility (Recycling Center) to learn more about the “behind the scenes” of recycling. 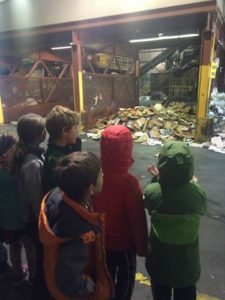 The tour is offered every first Friday of the month (except holidays) on Earth Day, during the Flagstaff Science Festival, or by appointment. Meet us at the facility at 1800 E. Butler Ave, Flagstaff, AZ 86001 (at the northeast corner of Butler and Babbitt) at 1pm on first Friday tour days. Tour lasts 1 hour. 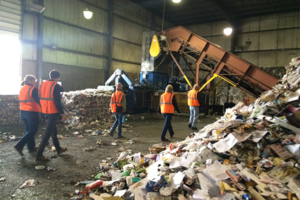 Thanks to support from the City of Flagstaff, we offer these public MRF tours free of charge. For groups of 12 or more please call and schedule your own tour; private tours are $5 per person (discounts may be available). Call 928 779 1745 or e-mail cassandra@willowbendcenter.org for more information.